Greed-driven Hollywood must be a rare example of an industry that treats its customers and potential customers as criminals. I find it offensive to buy a DVD and then be forced to watch a video that tells me I am a criminal. No, snatching a purse or handbag or a smash and grab raid, is not the same as copying a DVD. In the first case is is clearly theft, someone has been deprived of their property, in the latter, no one had been deprived of their property. The irony is that if I had a pirate DVD, it would not have at the beginning the compulsive video that implies that I am a criminal for possessing a legitimate copy. I find it offensive, have laptop will travel, but Hollywood puts regional encoding on its DVDs to stop them being played outside the region. The irony is that it is simple enough to bypass, simply download AnyDVD or DVDFab Passkey and it sits in the background and removes the regional encoding, I can then watch at my leisure wherever I happen to be, any DVD from anywhere in the world. If I borrow a DVD, I copy it so I can watch it when I get around to it. I find it offensive when a student in the UK is facing extradition to the USA at the behest of Hollywood for having a website which directed visitors to where they might find free downloads. He himself was not supplying free downloads. What he did is not even a criminal offence in the UK! He faces 10 years in prison if extradited to the USA. The result has been almost instantaneous. US politicians are reeling from the public backlash. 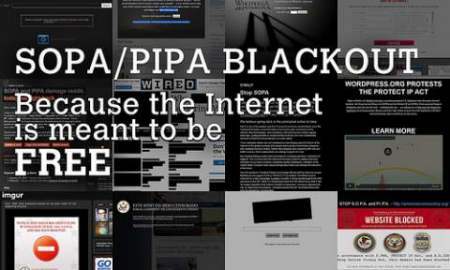 many, who supported SOPA, who were even sponsors, have suddenly found it is not a hot potato they wish to be caught holding. We do not have to jump to corporate lobbyists. We can bring Hollywood to its knees. How about a worldwide boycott of Hollywood, no going to the cinema to watch their rubbish films, no buying their DVDs? – SOPA is dead. Are you happy now? – SOPA: Anti-Piracy or Censorship?